China Yiwu International Trade City, i.e. 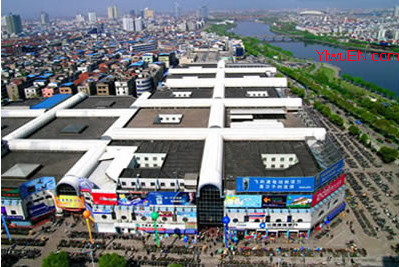 Yiwu International Trade Mart, YiwuInternational Trade Center, China Commodity City, Yiwu market, Yiwu Futian Market. In recent 30 years, the local people and government have been doing ONLY one thing – building this International TradeCity. For more details about what’s inside this huge mall, I’ll write one more article –Yiwu Futian Market, as that name is more close to a market. 1st floor is for socks. 2nd floor is for textile, gloves, and hats. 3rd floor is for shoes, ribbons, laces, ties, thread, and towels. 4th floor is for bras, underwear, belts, and shawls. Yiwu International Trade City is the most innovative, largest wholesale marketcomplex in China, and also one of the most advanced wholesale markets in the world. District five founded on 5 may,2011. 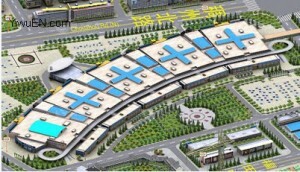 market located in the south of Yiwu integrity Avenue, west and connecting International Trade City four districts, convenient traffic, unique location. Market area of 266.2 acres, building area of 640,000 square meters, total investment of 1.42 billion yuan, five points on the ground, two basements,It has more than 7,000 commercial spaces and mainly doing imported goods, bedding,textiles,knitted materials, automotive supplies and accessories industry. 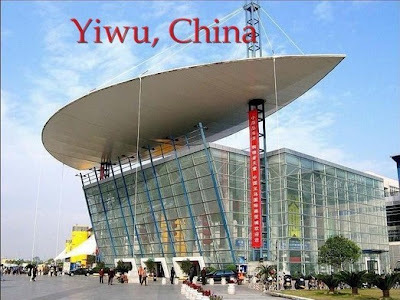 Welcome to China Yiwu International Trade City! 2) The logo takes the chinese 人 (Say in English: Human) shape as the basic design element, the outside was formed by three closed 人 that means the idea of agglomerate power, and transfer the corporate culture is based on people. The center of the logo are three overlapping letters, it is the first, the third, and the last letter of our company name. Letter A looks like a Peak, it shows the spirit of our company that we will make progress continuously, brave in innovating all the time "A", meanwhile, it also appears vividly that our determination that become the No.1 in our opponents "A". Yiwu Market,Yiwu China,Yiwu Agent,Yiwuen.com.Yiwu (chinês simplificado: 义乌; chinês tradicional: 义乌; pinyin: Yiwu) é uma cidade de cerca de 1,2 milhões de pessoas na província de Zhejiang, perto da costa oriental central da República Popular da China. A cidade é famosa por seu mercado de Yiwu vibrantes pequeno comércio e de commodities e é um destino turístico regional. Embora administrativamente Yiwu é uma cidade do condado-nível sob a jurisdição de Jinhua, é mais conhecido do que Jinhua nacional e internacional. 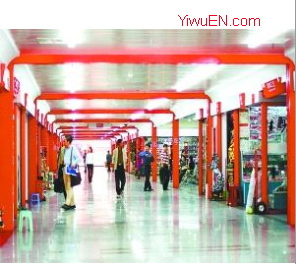 "Yiwu market is the world largest wholesale market of general merchandise." —by United Nations, The World Bank, and Morgan Stanley. Yiwu Market is made from China Yiwu International Trade City (District 1, District 2,District 3, District 4,District 5) and some local Markets & Districts (Yiwu Binwang market, Yiwu Furniture Market, Yiwu Material & Construction Market , etc. ). You need not go to other places, only in Yiwu market. You can see, you can touch, you can take photos, huge designs for your choice. It opens 8 Hours a Day (9:00 AM – 5:00 PM), 7 Days a Week, 365 Days a Year. It is like a permanent tradeshow. Unlike Guangzhou or other cities in China, where buyers usually are required to buy container loads of goods to receive favorable pricing, minimum quantity in Yiwu starts only with 1 carton, and yet you still receive wholesale prices. Yiwu is the Heart of the World’s Factory. 90% shops in yiwu market are factory direct sale. 1) Apparel &Shoes : T-Shirts, Dresses, Sportswear, Lingerie, Jeans, Underwear, Socks, Boots, Sneakers. 2) Fashion Accessories: Headwear, Hats, Neckties, Belts, Gloves, Sunglasses, Watches, Bags, Handbags. 3) Gifts & Crafts: Christmas Products, Crystal Crafts, Metal Crafts, Holiday Gifts & Decoration, Photo & Picture Frames, Key Chains, Candles & Candles Holders. 4) Health & Beauty: Massagers, E-Cigarette, Makeup & Makeup Tools, Skin Care, Perfume & Perfume Bottles, Personal Hygiene. 5) Home & Garden: Baby Supplies, Bath & Toilet, Bedding, BBQ, Cookware, Tableware, Kitchen Accessories. 6) Jewelry: Bangles & Bracelets, Brooches, Earrings, Jewelry Set, Necklaces, Rings, Silver & Sterling Silver Jewelry, Gemstones. 7) Office & School Supplies: Pens, Notebook, Calculator, Educational Supplies. Promotional Gifts: Keychain, Caps, Lanyard, Digital Photo Frames, Coasters, Golf Items, T-shirts. 9) Sports & Outdoor: Camping, Games, Pet & Products, Scooters, Sport Products. 10) Toys: Dolls, R/C Toys, Educational Toys, Ball, Electrical Toys, Plastic Toys. Yiwu Market, the world's largest wholesale market of general merchandise. Welcome to Yiwu Market! Yiwu,Yiwu Market,Yiwu China,Yiwuen.com.Yiwu (simplified Chinese: 义乌; traditional Chinese: 義烏; pinyin: Yìwū) is a city of about 1.2 million people in central Zhejiang Province near the central eastern coast of the People's Republic of China. The city is famous for its small commodity trade and vibrant yiwu markets and is a regional tourist destination. Although administratively Yiwu is a county-level city under the jurisdiction of Jinhua, it is more well-known than Jinhua nationally and internationally. Yiwu (simplified Chinese: 义乌; traditional Chinese: 義烏; pinyin: Yìwū) is a city of about 1.2 million people in central Zhejiang Province near the central eastern coast of the People's Republic of China. The city is famous for its small commodity trade and vibrant Yiwu markets and is a regional tourist destination. Although administratively Yiwu is a county-level city under the jurisdiction of Jinhua, it is more well-known than Jinhua nationally and internationally. Yiwu children's Gangnam Style,they are children in Yiwu city,they dance the popular Gangnam Style.Such funny Gangnam style is Yiwu style.I share with you all. Labels: Yiwu , Yiwu children gangnam style , yiwu gangnam style. Yiwu Amanda Intl Group (Yiwu Amanda Import & Export Co., Ltd. ) was established in 1999, is a leading general trading company in Yiwu China. We are No.1 Export Agent in Yiwu. We offer you one stop export solution services in Yiwu market and mainland China. We have more than 100 staff who can speak fluent English, meanwhile, we have some staff who can speak Spanish, French, German, Italian, Russian, etc. We serve global importers from over 180 countries, including Argentina, Austria, Australia, Belgium, Bulgaria, Bahrain, Brazil, Canada, Chile, Colombia, Czech Republic, Germany, Denmark, Egypt, Finland, France, Great Britain (UK), Greece, Croatia, Hungary, Israel, Iran, Italy, Japan, Korea-South, Moldova, Mexico, Netherlands, Norway, New Zealand, Peru, Poland, Portugal, Paraguay, Romania, Russian Federation, Saudi Arabia, Spain, Sweden, Switzerland, Turkey, Tanzania, United Arab Emirates, United Kingdom, United States, South Africa, etc.. and we’re still growing. (1) Products searching & price information and send samples. (2) Entire schedule including invitation letter service, hotel reservation, pick-up and driving to airport, check-in hotel, local car service, entertainment etc. (3) Organize and accompany clients on visit to potential suppliers in mainland China & Yiwu market. (5) Placing order as buyer required & follow production schedule. (6) Inspecting product & Quality control. (7) Consolidation of goods from different suppliers & loading containers. (8) Placing shipment order, loading container, customs clearance, and making shipping documents. (9) Regular container transportation service from Ningbo port to all over the world with most competitive sea freight. We are sure that Yiwu Amanda Intl Group is your best agent for Yiwu market sourcing and purchase. What is more, affordable service fee, low to 1% commission of total product value. (5) Over 3,000 Containers Shipping Per Year. The logo is designed as a chain style, and put letter A in the center; that means our company set Amanda as a brand and devoted to diversification development, everyone works together and is committed to each other in a team, make the company has a strong cohesive force. The molding of the logo is symmetrical and steady, that means the style of work in our company is prudent, standard, preciseness and staidness. Oscar Tao, Male, Double BA degree of Medicine & Computer Science, have enough manage experience of private enterprise in China. Being good at sales & marketing, operation, investment & financing, and integrated management. Amanda Zeng, Female, Bachelor’s degree in management, have many managing experiences in the American enterprise in global 500. Proficient at international trading operating, good at Executive Management and Human Resources Management. 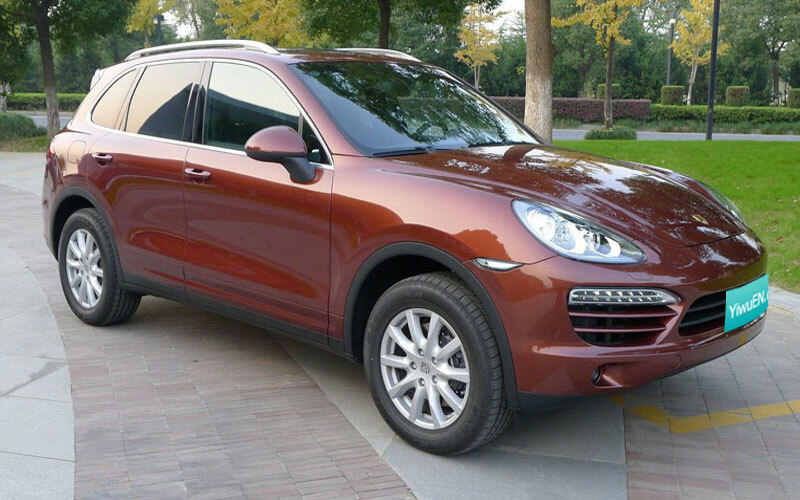 We have 2 x 7-seat MPV (Buick GL8), 1 x 5-seat sedan (Mercedes-Benz E300), 1 x 5-seat SUV (Porsche Cayenne). 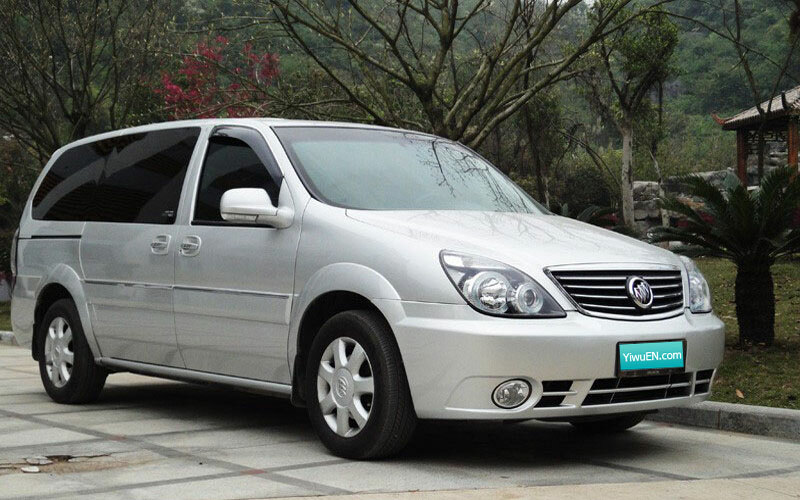 1) Pick up from shanghai pudong airport, hangzhou xiao airport, yiwu airport, yiwu train station to the hotel in yiwu. 3) Send customers from hotel to market, market to hotel every day. We have several warehouses in Yiwu. The smallest one is in the basement floor and first floor of Amanda Building, has a capacity of 5~7 x 40ft HQ. It is very convenient to do inspection and quality control. The largest one is around 5000 square meters, has a capacity of at least 100 x 40ft HQ. Amanda Building is a 6-floor (include basement) villa, total more than 1000 square meters.